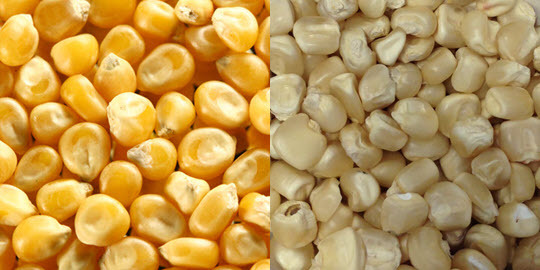 We use food grade approved varieties of corn. Pioneer brand is our most consistently used variety of corn. We like corn that has a good test weight, simple pericarp removal, and good sound kernels. We have yellow and white corn available. Shipment can be in bulk, totes or 50lb bags. Our cleaning process is in a new state of the art cleaning facility. Our facility has a clipper new generation cleaner, a gravity table along with a Buhler Sortex color sorter. The facility allows us the flexibility to provide blends of white and yellow corn to meet your end product goal. The facility allows the ability to provide a non GMO finish product.